The Google Translate app has been updated with some important new features, including the ability to translate text directly from the camera faster and better live calls. The new camera feature of the app comes from Word Lens, which Google acquired in May last year. Just press the camera button and point your smartphone or tablet to a text in another language, and the app automatically translates the text.At present, translations from English into French, German, Italian, Portuguese, Russian and Spanish support, and vice versa. Gif in the right you can see the feature. The other important feature of the new Google Translate app is the ability to translate live calls.This was all a long time possible, but now the app automatically recognizes the spoken language and the translation is processed much faster. According Macduff Hughes, who leads the team behind Google Translate, there are 500 million monthly active users who use the translation service. 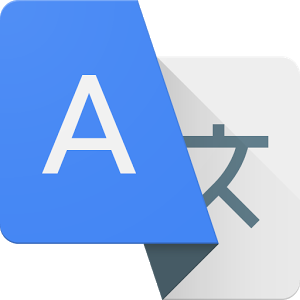 The Google Translate app is now more than 100 million times installed on Android phones. Currently it is possible to use Google Translate for 140 different languages, and that number will only increase. You can download it from the badge below. It is possible that you still do not see the new app version, because Google as usual rolling out the update in phases. The apk file is here to download for manual installation.